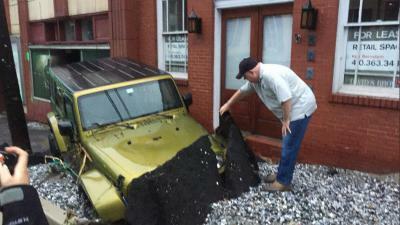 A weather station in Catonsville registered nearly 13 inches of rain in just three hours Sunday afternoon. 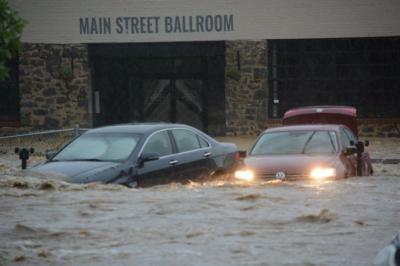 Water levels were close to the second story on Main Street in Ellicott City. 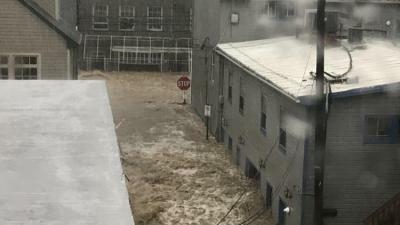 The National Weather Service issued a flash flood emergency for Ellicott City, Maryland, on Sunday, nearly two years after a deadly flooding ravished the Howard County city. The storm that hit historic Ellicott City and nearby areas Sunday is likely worse than the storm that caused flooding in 2016, according to meteorologists. By 7 p.m. Sunday, rainfall totals already appeared to be higher; 7.48 inches had fallen in Ellicott City, according to National Weather Service meteorologist Brian LaSorsa, and 9.71 inches of rain had fallen in Catonsville. A flash flood warning remained in effect for Columbia, Severn and Jessup until 12:45 a.m. Monday morning. 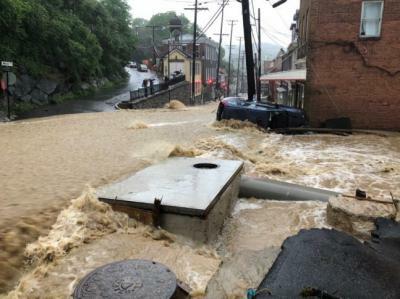 Flooding overtakes Main Street in Ellicott City, Maryland, after heavy rains and storms on Sunday, May 27, 2018. Several abandoned vehicles are enveloped by flood waters in Ellicott City, Md., on Sunday, May 27, 2018. Shanna (Les Anges 7) : la parution de sa sextape la "détruite"